Valentine, a 34-year-old driver, has been queuing outside the Lagos site for two weeks. He’s had to deal with policemen demanding bribes and fend off hoodlums known as area boys. The congestion outside and inefficiency within Nigeria’s ports is choking the economy, which vies with South Africa as the continent’s biggest, and causes havoc for businesses that use them to import everything from cars to computers, food and machinery, Bloomberg reports. 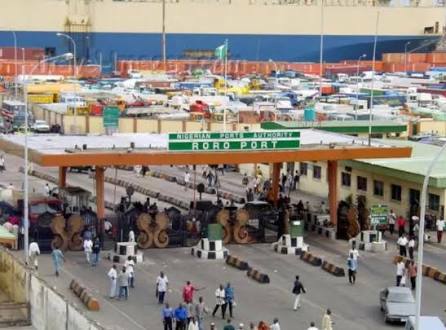 The cost of moving a container from Apapa to other parts of Lagos has soared to as much as 700,000 naira from about 150,000 naira two years ago as trucking firms put up their prices to make up for the delays, according to the Nigerian Shippers’ Council.